You there. 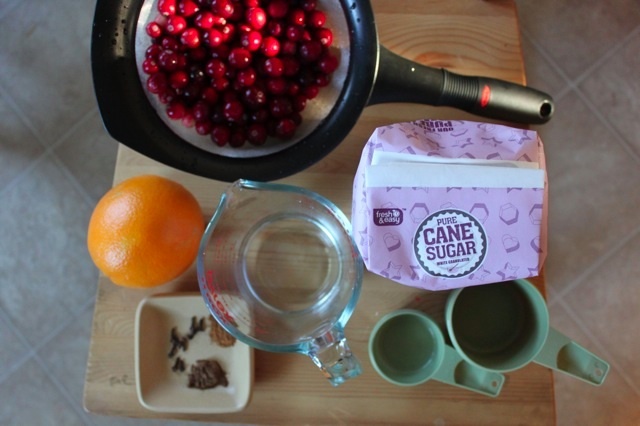 I’ve got the cranberry recipe you’re looking for. It’s from my friend Dorothy’s seriously awesome blog, Shockingly Delicious. Look at these babies. Make the sauce tonight! I made these last year but neglected to blog about them because I was suffering from Thanksgiving food blog overload. You know the feelings. 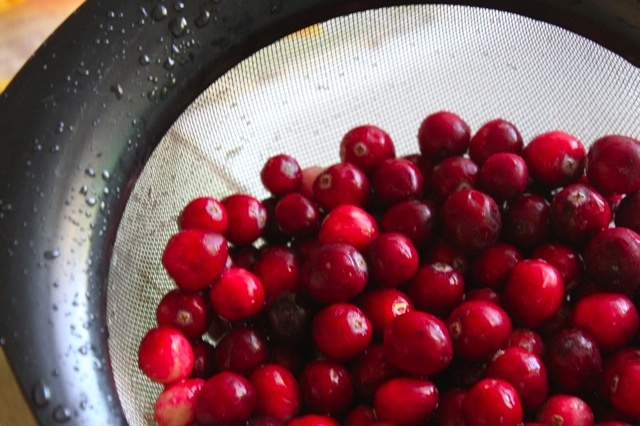 But these cranberries are seriously the best thing you’ll put on your Turkey-day table. And they’re so easy to make. One 12-ounce bag of whole cranberries. 3/4 cup water. One and 1/4 cup granulated sugar, 1/4 tsp. of cinnamon, allspice, ground clove. Zest of one orange. Wash and pick over your cranberries, removing any mushy ones. 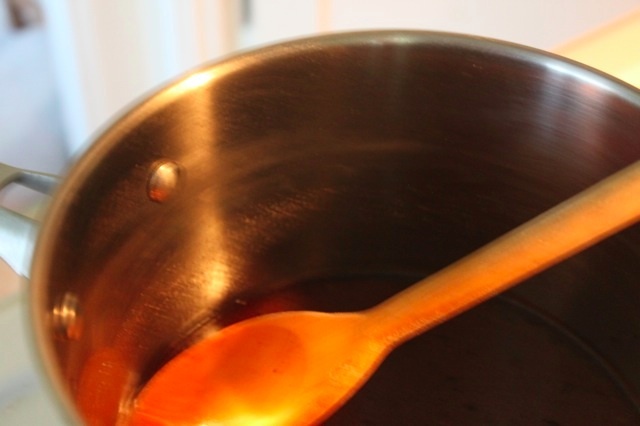 In a large, heavy saucepan, dissolve the sugar and spices in the water, stirring often, until it’s syrupy and reaches a roiling boil. This photo adds nothing to the narrative, I know. Add the cranberries. Stir and cook until they just begin to pop – about 2-3 minutes. Remove from heat, add the orange zest. Let cool to room temperature and place in a glass container. 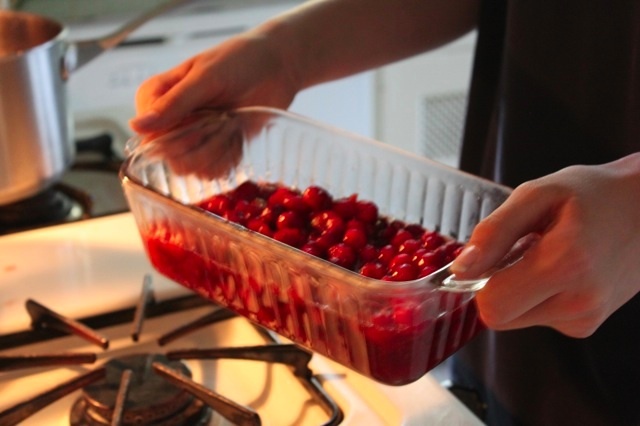 Beat the boy back, cover with lid, and let those cranberries sit in the fridge until Thursday. Stir before using. Practice your James Beard Award acceptance speech. Thanks Dorothy! And Happy Thanksgiving, once again, from the Bad Home Cook’s House to yours! Laughing OUT LOUD! This ROCKS! I have a batch on the stove right now. And my mother just called me and said, “Don’t show up without the cranberries,” so I had better make 2 batches. I have already made 1 recipe of these, and just reading your words here is making me run into the kitchen to put another one on the stove. You can NEVER have too much of this stuff. And did you know you can make a drink out of it, too? One of my readers did, and sent me the results: http://www.shockinglydelicious.com/jaw-droppingly-good-cranberry-mimosa/. TRY IT!